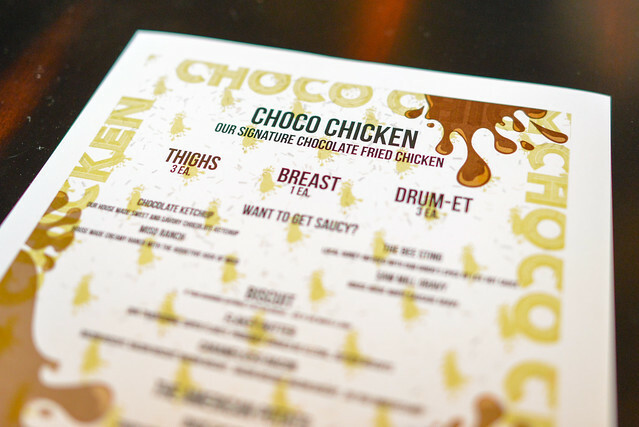 At first, chocolate and fried chicken sounded like an odd pairing. When I thought about it some more, I was intrigued and really wanted to try it. I imagine chicken & waffles smothered in a syrup elicited the same initial response, but has become a classic pairing. Some have likened this savory chocolate-chicken application to a mole sauce, though this would be very different. Among almost 20 other spices, a cocoa powder is applied to the chicken’s batter for a unique flavor. That’s after brining the chicken in a mixture that, of course, also includes chocolate. Adam Fleischman, who brought the Umami Burger and 800 Degrees concepts to life, is also behind Choco Chicken. I’m a pretty big fan of both of those restaurants and figured I would be in good hands during this media preview evening. The restaurant is supposed to open to the public any day now in the former Corkbar space a few blocks away from the Staples Center. Owners feel strong about the concept, with expansion already in the works for a Santa Monica location. 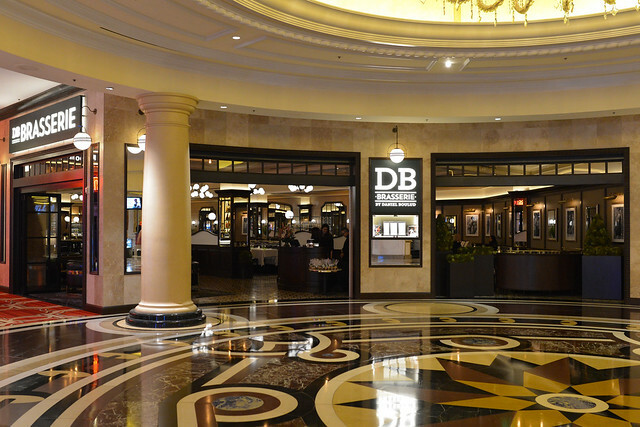 Daniel Boulud’s re-entry into Las Vegas was this past month, when he opened DB Brasserie at the Venetian Hotel. His first venture, Daniel Boulud Brasserie at the Wynn, did not last too long closing four years ago. I actually dined there on its last night of service, and came full circle to dine here during its grand opening. 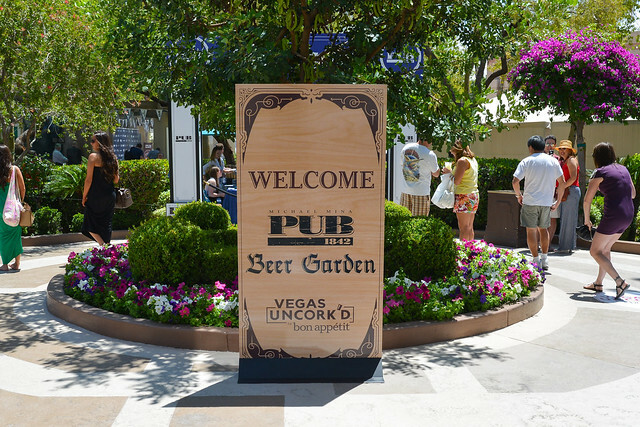 While the restaurant technically began service at the end of April, it timed its grand opening with Vegas Uncork’d week for maximum impact. In a city where seemingly every big-name chef has a presence, it seemed as if it was just a matter of time until Daniel Boulud returned to Las Vegas with another restaurant. 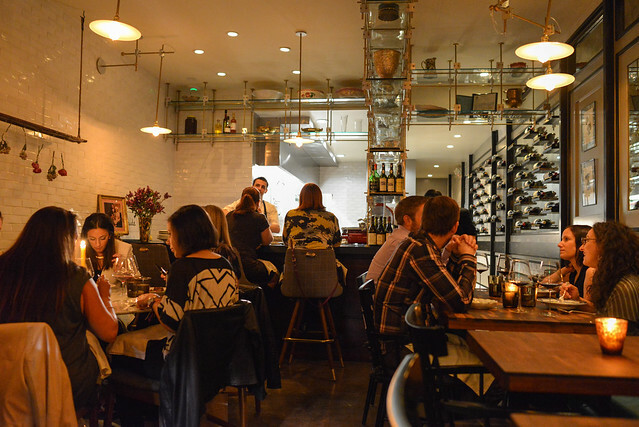 The remaining question was what type of place it would be – a bastion of fine cuisine modeled after NYC’s Daniel, a reincarnation of Boulud’s old brasserie serving French bistro classics, or something entirely different? As it turns out, Boulud’s latest is similar to his last Vegas venture in both name and menu, focusing in on French fare in a casual environment. There are some American influences too however, most notably in a menu section devoted to some of Boulud’s burgers. 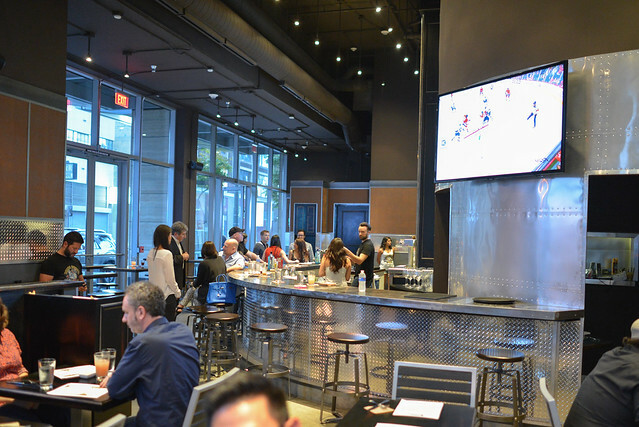 This post recaps two parts of the same evening – the grand opening party and a “regular” sit down meal. I brought my mother as a +1 to the grand opening, meeting up with the rest of the family for dinner. Spanish cuisine has gotten a lot of attention on the global scene in recent years; as diverse as Los Angeles is, we haven’t seen a lot of new Spanish eateries open up. Except for, of course, the megahit Bazaar; opened almost six years ago, it’s still one of the go-to spots for tapas in the city. 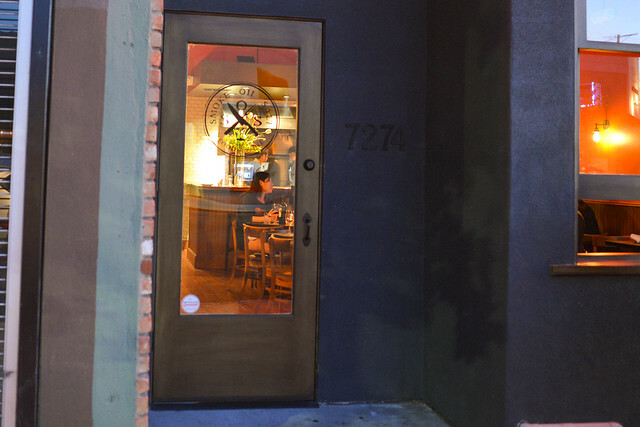 smoke.oil.salt aims be another premiere Spanish option in LA. 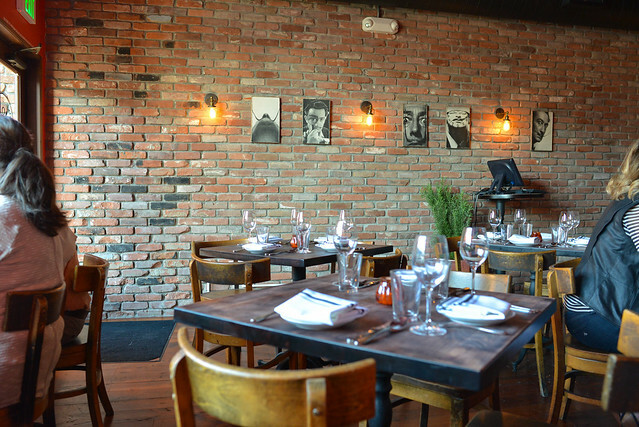 Opened by Adam Fleischman/AdVantage Partners in the old Angeli Caffe location, the food is tapas-style focused on a lot of traditional flavors. Perfecto Rocher is the chef here, who most recently brought his Spanish influences (and resume including stops at El Bulli and Martin Berasategui) to Lazy Ox Canteen. I visited Lazy Ox a couple of years ago when Rocher was cooking and enjoyed it, so was excited to check out his next stop. Opened in February, Curtis Stone’s Maude was one of the most anticipated restaurant openings of the year. 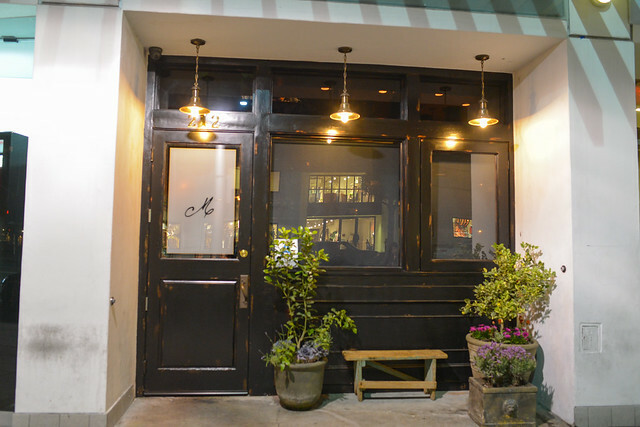 It’s still one of the most popular restaurants in the city, packing tables for its seasonal, monthly tasting menus. The concept is rather unique; each month, the restaurant chooses one ingredient/theme to showcase throughout its entire 9+ course tasting menu (there is no a la carte option). This April dinner was centered around peas ($80). Reservations are available at 10am on the 1st of the month for the following month (e.g. April reservations were available on March 1). On March 1, we placed hundreds of calls to get a busy signal…and finally secured a table in the early afternoon. Definitely one of the more difficult reservations to obtain in a while. 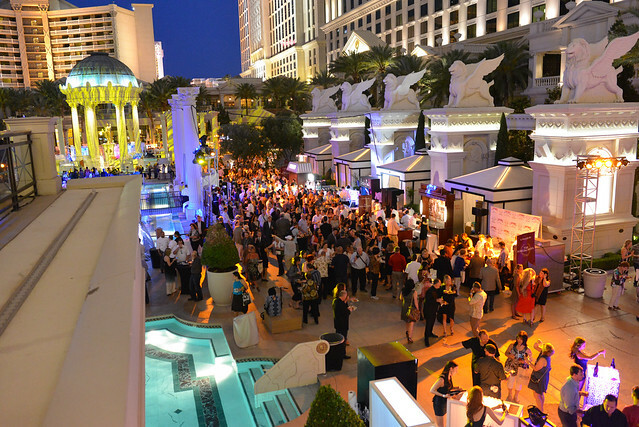 This weekend marked the eighth annual Vegas Uncork’d wine and food event. Spanning 31 events over 4 days, it continues to be one of the largest of its kind in the nation. I’ve mentioned it before, but Las Vegas is an ideal city for such a festival. Event spaces and hotel rooms are plentiful, and the city’s hunger for “celebrity chef” restaurants has created such a conglomeration of high-profile chefs in one city. They may never actually cook in their kitchen, but they’re well-represented during Uncork’d week. 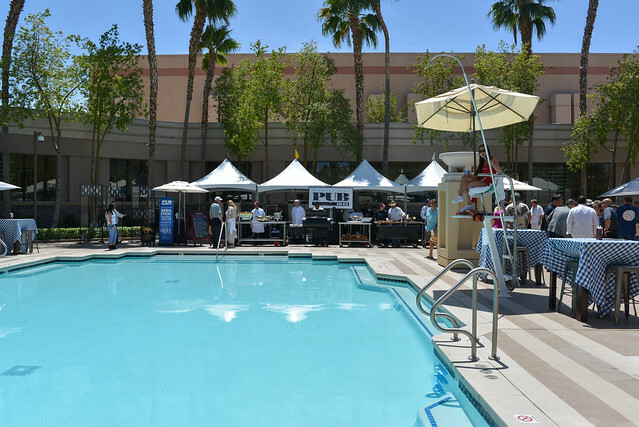 The Grand Tasting is the singular event that allows the most variety of food, wine and chef access for one ticket of admission ($225). 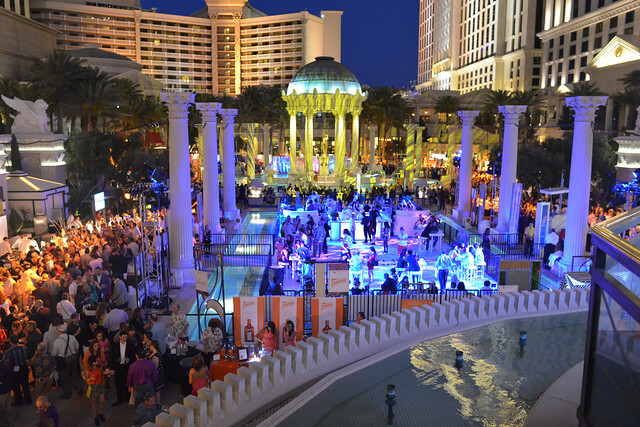 Over 50 restaurants were represented with many more vintners and spirits. It’s truly a sight to behold. This would be my fourth year attending the Grand Tasting (also see 2012 and 2013 posts).